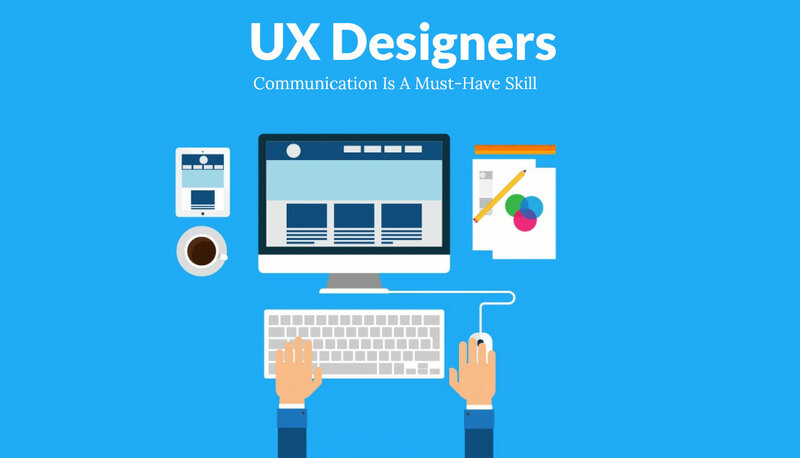 Communication Is A Must-Have Skill For UX Designers – Why? The capacity of a web designer to verbalize UX design decisions with efficacy is the most crucial part in the success of a venture because the one with high eloquence capacity would take the crown away. However, talking about design is not an easy task. Each web designer is answerable to an investor while most of them lack the capability to persuade people about their accuracy and knowledge. There exists a fine lining between a good and an exceptional designer which is reflected in their efficiency of not only providing the users with appropriate solutions for a problem but also pronounce how effectively the solution can be used to compel and promote the contract. In the present days, the enterprises and organizations have modified their behavior and approach towards web design. Previously the companies preferred to hire the designers with a desire to make their website look professional, compelling, sellable, and tempting. But these days most of the companies are keen towards making the web design a prime segment of their business module. This is the reason why the investors and entrepreneurs are identifying and evaluating the UX design and want to participate in the conversation. This, however, is not something of great importance except for the factor that the people who have no experience or expertise in web design are influencing a project more than the expert designers. The interface that has been carefully fabricated by the expert designers, around the best efforts, is disturbed by the investors, who have no in-depth knowledge of web design. Though it may appear like, only the great ideas must take a stand and that the exceptional designs must speak for themselves, yet the real situations can be quite different. The meetings conducted on account of reviewing the designs might turn up to be the design-by-committee. All the members involved, irrespective of having expertise in web design, would instruct the designers on how to carry out their work in a correct and effective way. The individual who has the capacity to convince people about his correctness in such a situation would get back his place. But those who lack such ability to persuade people about why and what they did is obvious to be a loser in the argument. These people are likely to be forced by the so-called experts to review the project and make certain changes which they disagree to make, only because they are not quite capable of defending themselves concisely. But it is not mandatory to be this way. These situations can be avoided and the designers do not have to necessarily compromise while coming up with frequent changes in the organizational design by the investors. The designers, thus, must be able to explain their design decisions with the expertise of the stakeholders who possess immense influence over the venture. The designers possess in-depth knowledge of the solutions which they discover. While explaining their thoughts concealed under the solutions, they might give the stakeholders a clear idea of the purpose and focus of the solution. The web designers have a vivid knowledge of what they are doing and what needs to be done further. Therefore, having a clear communication demonstrates that the designers are well aware of their work. When the designers are articulate, it gives the stakeholders the impression that they have expertise in the field and can be trusted with whatever solution they come up with. When the designers are expressive, it reveals that they are concerned about the stakeholders. Despite being well-prepared with their explanation, the designers value everyone’s time and outlook, therefore, it goes without saying that they deserve the same respect as well. What are practices to become more communicative? The designers are required to be more deliberate and calculative while understanding their solutions. They must be responsive to the decisions taken as the oblivious decisions conceal the prime element of explaining the designs to the rest of the people in the committee. There are two simple techniques that can be employed by the designers to become more articulate and responsive. The verbal expression of an individual’s thought generally brings out the hidden motivations therefore in order to polish the communication skill a designer must practice his explanation aloud before the meeting. It is beneficial to write down the unconscious thoughts into a paper which makes self-grooming of a designer much easier. Proceeding with the above-mentioned approaches, the meetings related to web designing can be made more productive and well-tuned to the necessity of the clients.